I've never heard of Phyto (have you?) nor have I tried their hair products (that made in France) until now, thanks to FMM! Phyto Secret de Nuit Intense Hydration Regenerating Night Cream & Phyto 7 Dry Hair Hydrating Day Cream with 7 Plants set worth RM256. Infused with 7 pure and natural plant extracts (mallow, calendula, sage, burdock, willow, soybean and rosemary), this weightless cream instantly hydrates, smoothes, and protects tresses while preventing frizz, static, and split ends. Hair is left shiny and manageable. Having tried this rinse free conditioner, I've to conclude that it didn't really help untangle my hair as my fine hair is normally rather tangled after washing. I guess it probably wasn't rich enough for my over-processed hair. This powerful night cream regenerates the hair fiber and provides up to 8 hours of intense hydration, nourishment, and repair. It creates a protective shield against free radicals and oxidation, and leaves hair feeling remarkably stronger, healthier, and shiner. I've just started using this product so I was excited to see if it worked! The packaging itself absolutely looks luxurious amongst my other hair care products and the cream has such a nice scent, which I love. Hmmm, it's been almost 5 months since I last visited the salon (31 October 2013), and I figure it's about time I take my hair out for a treat and dye my black roots! When Korea's No.1 fried chicken brand opened its door at 1 Utama Shopping Centre, Ralph couldn't contain his excitement because he's a fan of KFC (Korean Fried Chicken), loll. Saw a wax figure at the entrance but I've no idea who this handsome man is. Upon arrival last Saturday night, we were shown through to our table (the only table that was not occupied) and when we placed our order, we were told there would be a wait of 15 minutes as their chicken wings are always cooked fresh rather than pre-fried and warmed up, which we accepted. There are many different kinds of chicken at KyoChon. However, the most popular item is their chicken wings (very much like Buffalo wings) so we ordered three different flavors of its signature fried chicken. Unlimited refills on my Bori-cha (Roasted Barley Tea) were a definite plus, but the spice of the wings limited the number I could consume. So I turned my attention to another flavor of wings. KyoChon Original Soy Series Wings and Drumsticks – which coated in exclusive soy garlic glaze. The fried chicken is so crispy and tasty; by far this is my favorite! KyoChon Honey Series Wings and Drumsticks – coated with natural honey sauce. They were as advertised - sweet and sticky. KyoChon Sal Sal Series - boneless chicken breast strips coated in special rice batter with choice of dipping sauce. The Sal Sal Strips are not bad, but I much prefer the wings. With far more questions than answers, everything falls into the category of speculation and one thing is for sure, in all this confusion the only certainty is uncertainty. I remain extremely curious to find out what actually happened and I assume the entire planet might, too, but this is not the time for finger pointing and criticizing - imagine what it's like to be a family member of those on board the flight. It's however, a time to pray, be hopeful and be compassionate. 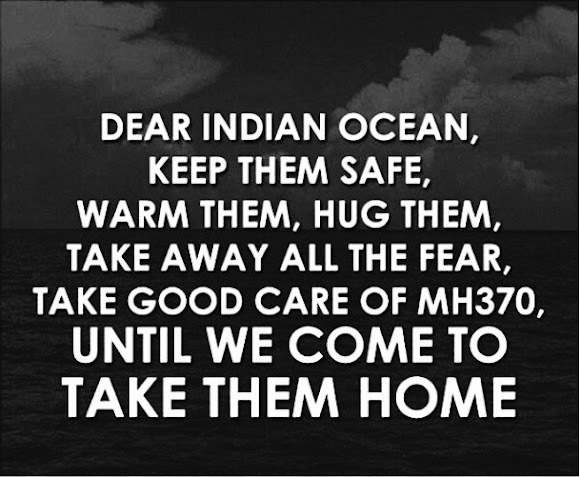 Penned down my message and may all affected find peace soon. Future Music Festival Asia (FMFA) is quickly approaching and it's that time of year again - music fills the air and this time spanning across 3 days (13 – 15 March). Who's ready to rumble in the jungle!? Well, I'm probably hitting up the Southeast Asia's largest and most epic music festival and just as important as figuring out what bands I want to see, is deciding what to wear. *loll* For me it's very much about comfort in light, loose clothing - I'm kind of traumatized by how hot it was at a rain or shine music concert last year at night. Planning what to wear to a music festival is all part of the fun. I curated a group of items that I'd personally wear and that I think would look good on most girls. Hope you enjoy the looks I put together! Festivals are loud, hot and can be a long day so being comfortable is key. This lightweight top is perfect for sunny days. Pair it with shorts and comfy flat pumps; complete your look with a pair of oversize sunglasses and stylish bangles. A cross-body bag is great for an all-day outing and make sure to choose one that can carry all of your essentials. No one wants to worry about a bulky bag and an uncomfortable shoe when there's dancing to be done. All I wanna do is za mah zoom zoom zoom and a boom, boom! Top - Black V Neck Floral Cami by New Look features an all-over pattern print. Shorts - Black High Rise Shorts by New Look feature a basic design. Flat Shoes - Black Gem Stud Pumps by New Look feature almond shaped toecaps with a pattern design. Bag - Teal Metal Plate Across Body Bag by New Look features gold tone hardware and an outer flap pocket. For look #2, style a pair of casual fit jeans with this funky top (you certainly can't go wrong with wearing a comfy tee while bouncing from show to show), and flats. Accessorize with an edgy necklace, a set of six different bracelet styles and a tote bag. Top - Cream Daisy Oversized Raglan T-Shirt by New Look features a burn-out pattern design. Jeans - Mid Blue Belted Ripped Boyfriend Jeans by New Look feature a distressed design with rose gold hardware. Flats - Oatmeal/Tan Print Chain Tab Slipper Shoes by New Look feature almond shaped toecaps with a gold tone detail. I'd choose this stylish dress accented by a pair of fashionable casual flat sandals for look #3. Throw in a brown sling bag, leatherette bangle set, and a floral headband to complete this chic look. Oh, and a trusty pair of sunglasses for those moments out in the sun too. Dress - Blue Daisy Print Bardot Neck Skater Dress by New Look features an all-over floral print. By the way, New Look - the UK's favorite value-fashion brand committed to making the latest trends and hottest celebrity looks available to everyone regardless of age, size or shopping, just arrived on ZALORA! And you know what this means? That you can have the best of British high street fashion delivered right to your doorstep! 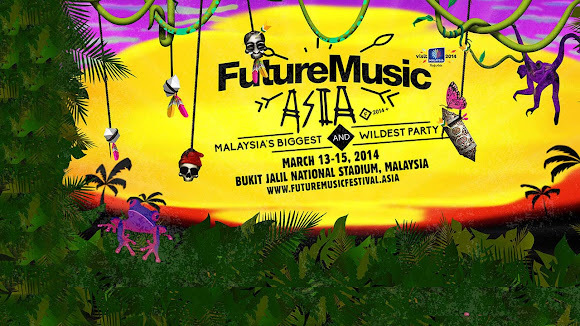 Even if you're not into the whole music festival thing and scratching your head thinking, FMFA-what? Goldfish-who? Gesaffelstein-excuse me? you'll still love upgrading your wardrobe with these pieces that easily work a number of outfits. ZALORA. You get me every time.